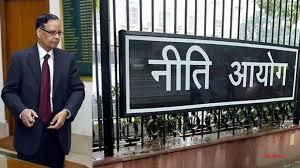 Arvind Panagariya resigned as vice chairman of the Niti Aayog on 1st August, saying he would like to return to academics in the US. The 64-year-old economist said he had written to Prime Minister Narendra Modi to relieve him of his duties by August 31 as he was not getting an extension of leave from the Columbia University. He said he had discussed his exit two months ago with PM Modi, who is the chairman of Niti Aayog. Arvind Panagariya was appointed the head of the rejigged plan panel in 2015. He held cabinet rank. Before he took up the Niti Aayog assignment, he was a professor at Columbia University, chief economist at the Asian Development Bank and also has a PhD in economics from Princeton University. A protege of economist Jagdish Bhagwati, Arvind Panagariya has also worked for the World Bank, the International Monetary Fund, World Trade Organisation, and the UN Conference on Trade and Development.